Kiwi fruit are a constant and welcome fixture on our supermarket fresh-produce shelves. However as exotic as they both look and taste they are actually hardy enough to be grown outdoor in all but the coldest of northern European countries. There are about 30 species with in the Actinidia genus and while they are not all edible the ones that are of most economic importance are Actinidia deliciosa and Actinidia chinensis and less so Actinidia coriacea, Actinidia arguta), Actinidia kolomikta, Actinidia melanandra Actinidia polygama, and Actinidia purpurea. Self-watering planters are a boon to many gardeners and have taken the gardening industry by storm in a variety of forms. Either for people who lack the room to garden in the ground, or people who lack the time for regular watering, they work great. But, how do they work, and could you make one yourself? Do you remember the word capillary action from school? Or perhaps just wicking? This is why if you dip a piece of paper in water, the water will climb the paper. It also works with soil, and this principle is behind self-watering containers. Potted Camellia’s are the star of the February greenhouse. 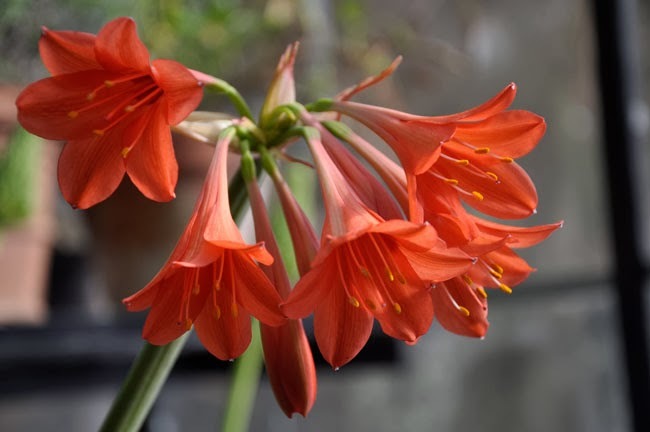 I almost forgot about today being Garden Blogger’s Bloom Day, a themed special post that is shared with many other blogs – but thanks to my friend Kathy Purdy, I was reminded by her post, before it was too late to take any photos out in the greenhouse. Here are some shots from inside the greenhouse on this very snowy day in central Massachusetts, and a few from inside the house, showing you what is in bloom on this February day. Most of us know what to do with our big grasses that go dormant each winter: Grab a bungee cord, tie the grass up, and use an electric hedge trimmer to buzz the column of foliage to the ground. But what about those tricky grasses that are evergreen or ones that have a ground-hugging habit? When and how do you prune those garden staples that don’t fit neatly into the “large and goes dormant” category? If you are hesitant to treat your sedge the same as your maiden grass, it’s for good reason. It’s January, Are you in planning mode? Yeah, me too. I’m planning windbreaks and barriers, berry gardens, possibly some new trees too, and the completion of my patio and arbor. You might remember this post about black slats from last summer (you know where I was all talk about getting the arbor over the patio done – but then it didn’t get done….well this time I mean it). I mean it so much I am planning the containers that will sit at the base of all those gorgeous black stained posts and slats (Note: My optimism about the completion of this is overflowing now that we have decided to hire a carpenter to finish the job rather than doing it ourselves – sometimes you just have to be realistic). This weekend Joe and I attended the Massachusetts Orchid Society’s annual orchid show, held at Tower Hill Botanic Garden in Boylston, MA. Sponsored by the Massachusetts Orchid Society, it’s a popular show ( as orchid shows tend to be), and it is show that we have attended many times, even thought it falls just as we are trying to pack our own greenhouse for the winter ( or fixing glass which broke during a windstorm this week! ), or when we are busiest with fall garden clean up like raking leaves. That said, there is ALWAYS time to go look at orchids, and to buy new ones. I mean, mini-complex Paph’s – Where have you been all of my life?